FPT Telecom International is the first and only Vidyo services provider officially authorized in Vietnam. 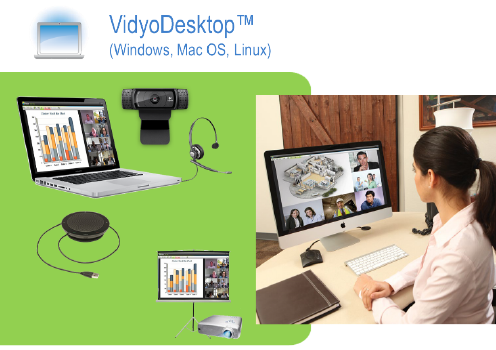 We provide our customers with Vidyo video conferencing services and equipment. 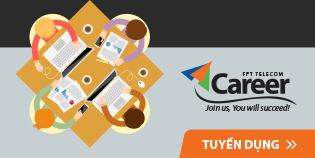 Vidyo is the American company that provides communication technology software and visual communication products. 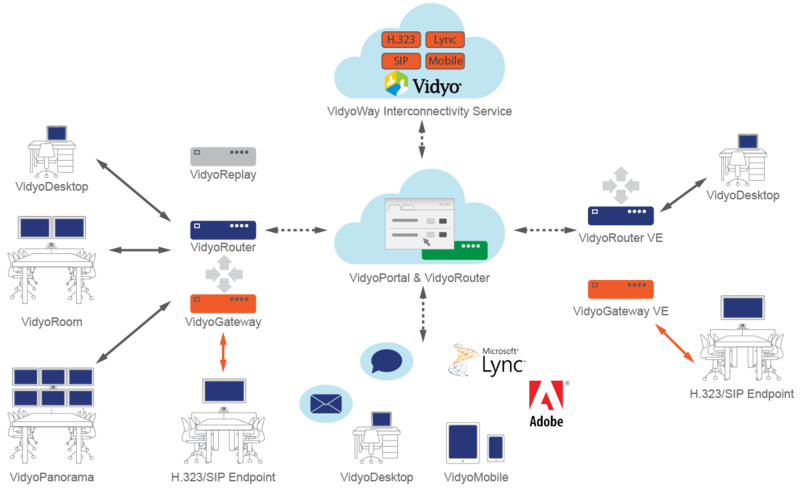 Vidyo Video Conferencing solution is the first product-service in the world to use the H.264 standard for video compression, Scalable Video Coding (SVC). The firm's implementation of this technology enables video communication across general purpose IP networks. Our Vidyo customers can connect to all traditional video conferencing systems such as Polycom, Cisco, Sony and Lifesize, using the SIP/H.323 standard. Customers do not need to be equipped with a Multipoint control unit (MCU) but still can make multi-point calls. 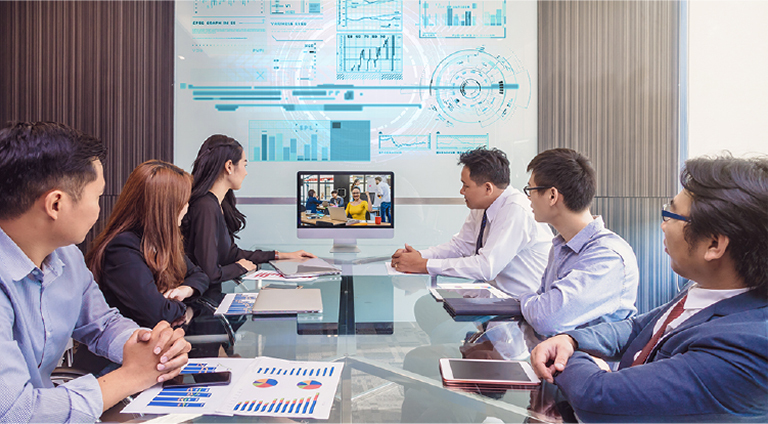 Vidyo MCU system allows other devices, from different video conferencing providers, to connect and participate in the conference. Cloud computing technology helps large enterprise customers to expand up to hundreds of global end points. The system can be easily upgraded when you need it. The simple interface allows customers to start a video conference with just a few clicks. The automatic transmission line detection and automatic image quality adjustment allow you to focus on the conference and not bother yourself with the technical setup. With the next-generation H264-SVC encoder and exclusive Video Adaptive Layering and Error Processing technology, FPT Vidyo solution delivers smoother video quality even when bandwidth of the transmission line is lower than recommended bandwidth of the service. Vidyo currently supports 4K ultra-high-resolution image transmission technology. With Vidyo, customers can integrate into existing systems such as Microsoft Lync, Exchange or pass the authentication with the same account on the Active Directory. With Vydio, you can also connect to Exchange calendar and Google calendar, manage and set up video conferences directly from Exchange or Google calendars. 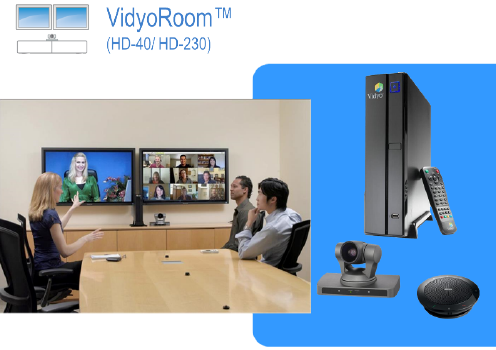 Use VidyoRoom (VidyoRoom HD-40 & HD-230) to equip your professional meeting room with sound quality, sharp image. Receive video signals up to 4K (HD230) and transfer FullHD videos at 1080p/60. Use a variety of microphones, suitable for all TV types. Use VidyoMobile software for free. Install it on your tablet or smartphone (running iOS or Android OS) With your FPT Telecom account, you can conduct video conferences from your own personal mobile devices. You do not need to install software on your computer, but can still use VidyoWeb services online to conduct video conferencing right in your browser (supports Internet Explorer, Google Chrome, Opera, Safari, etc.). Vidyo introduces Vidyo Panorama 600 – a dedicated terminal for luxury and executive conferencing rooms. With outstanding features such as the ability to drive up to six screens simultaneously, display 96 connection points simultaneously and deliver 4k images, Vidyo Panorama 600 can meet strict requirements of VIP high-class meeting rooms. FPT Security cameras are suitable for deploying on a variety of subjects to meet the needs of customers. - CCTV system for warehouses, factories and offices. - CCTV system for entertainment and retail sector (movie theaters and supermarkets, parking lots). - CCTV system for public sector (schools, universities). - CCTV system for nursery (supervising nurses). - Traffic monitoring CCTV system for (traffic regulation, fines). - CCTV system for healthcare sector: (hospitals). - Private CCTV system for home. 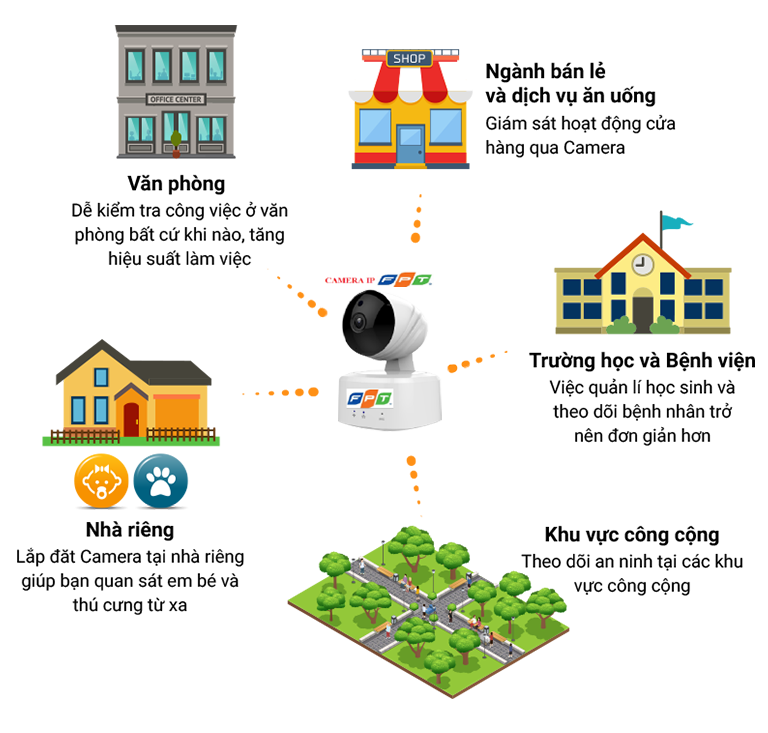 With the cloud technology, our customers can easily access their IP Cameras via internet, and view images and videos from their IP Cameras online on their mobile devices from anywhere.